My truck is rather old, and I did not own the vehicle until it was already nearly 16 years old, so the vehicle is understandably worn from age and years of use. The air conditioning does not work anymore, and the brakes are not in fantastic shape. The windshield wiper fluid sprayers do not work anymore either. The car naturally pulls to the right and I have to consciously counteract this while driving. The seat is comfortable; despite being of a larger build and stature I am able to comfortably drive it. The position of the wheel is adjustable, which is a fantastic feature. The car is very reliable, despite its age, I have never had a breakdown or had to call for a tow truck. My truck is supercharged which makes it go fast. My truck’s frame is very rusted which is the biggest problem with it. A lot of the frame is very rusty and that has caused a few problems. The power steering and brakes had a leak a month ago but I fixed that. The performance is pretty good. It drives a lot faster than people expect it to. The gas mileage is not great. I get about 10 miles per gallon which is not great for how small the truck is. The bed is also really short. The front seats are very comfortable and the ride is pretty smooth. It handles bumps very well. I like the roof racks. I think it is a very good looking truck. The four wheel drive works well and it has performed very well off-road. 1.) FUN to drive and scoot around town with. 1.) I like my Nissan Frontier (Crew Cab) because it is small enough to bounce around town without having to drive a road hawg. 2.) I like It's ability to carry people in the back seat. 3.) I like the "git-up-and-go" it has even for a V6 engine. 4.) 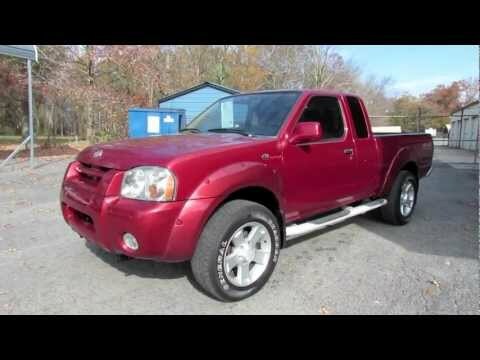 I like the fact that this Nissan Frontier (truck) qualifies for cheaper automobile insurance. 5.) I dislike that it DOES NOT have cruise control. 6.) I dislike the gas mileage...even for a small truck with a small V6 engine, the gas mileage is horrible.